Want to see about a minute more of Nicholas? Probably not, but AMC wouldn’t give away the GOOD deleted scenes for free. Entertainment Weekly was given exclusive dibs on a deleted scene from the upcoming Walking Dead Season Six Blu-ray/DVD set. To call the history between Nicholas and Glenn tumultuous is like calling the Arctic a bit chilly. Not only was the former a terrible ally, he made for an even worse enemy. In this deleted scene they’re trying to get over the past and establish somewhat of a working relationship. 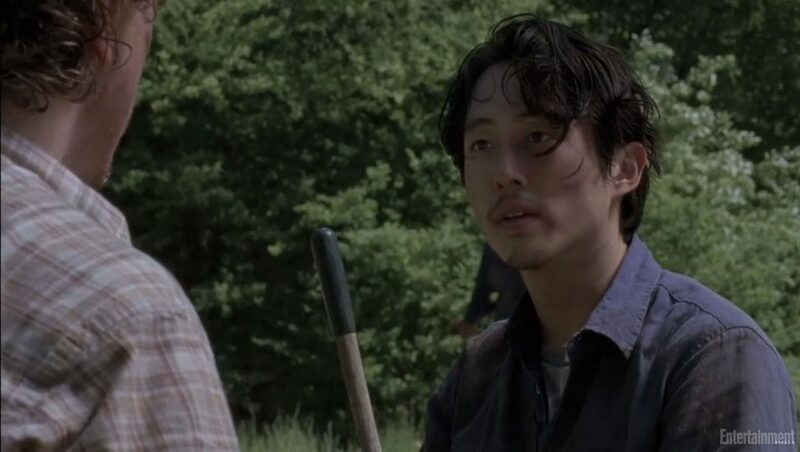 We all know that this ends with Nicholas shooting himself in the head and toppling Glenn into the zombie herd. You just can’t work with some people no matter what you try. The Walking Dead: The Complete Sixth Season comes to Blu-Ray and DVD August 23.